We had Rufus for 7 years before I got Emily and that was a wonderful time, but I do think two is such a great number for our family. Despite their age difference, they really seem to get along nicely. I also feel better about leaving them alone – whether it is for a few minutes or a few hours – knowing that they have each other. Can you feel the love and sweetness they share?! This month we have had Emily a full year. 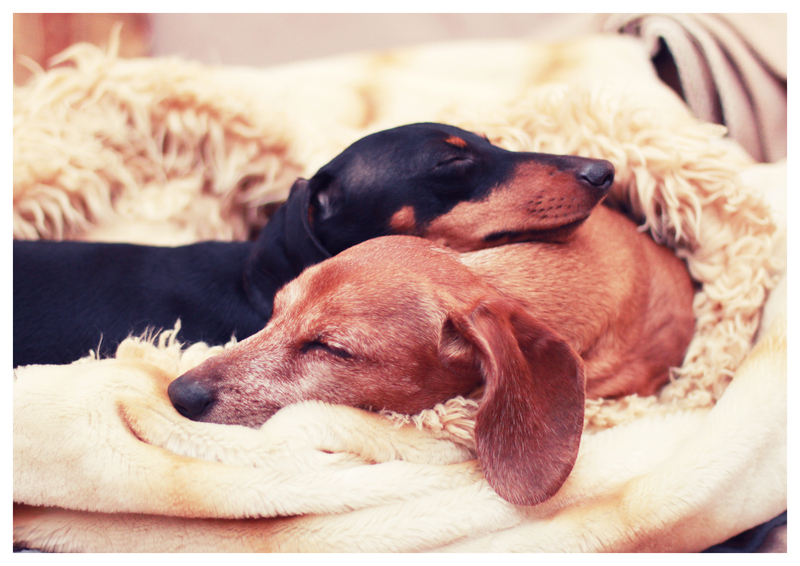 This entry was posted in Emily, Rufus and tagged #black and tan dachshund, #dachshund, #red dachshund, #smooth dachshund, doxies. Bookmark the permalink. 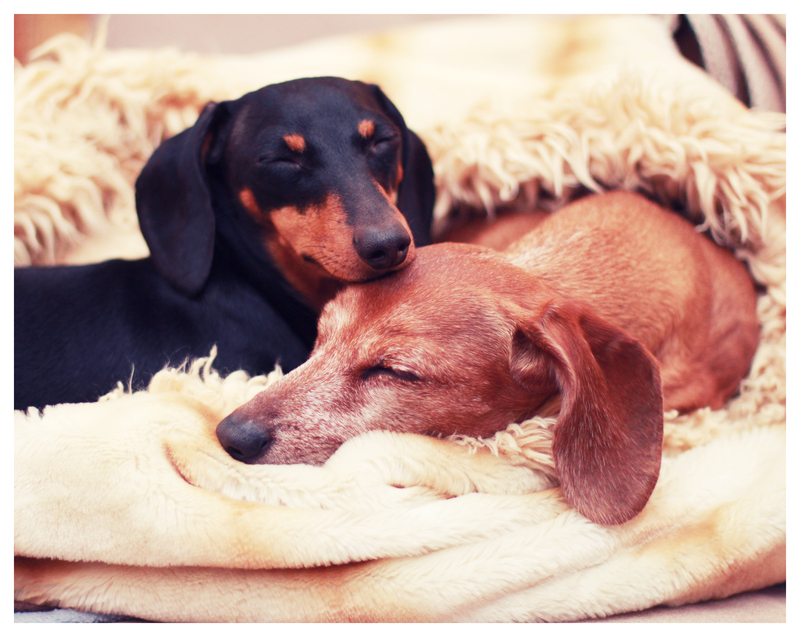 Such sweet pictures of these two loveable doxies !!! absolutely!!! they adore each other & it shows!! I can’t wait to pick up our new puppy for our very own Rufus Houndog (check out his own FB page!) but ours will be the opposite colourings to your Rufus and Emily….and like you we will feel so much better about leaving them alone when they have each other. Such a lovely photo of your two! They also look exactly like our two, Buddy (red) and Maddy(black and tan). Both have had back surgery (lucky us!) . Buddy is 10 and acts like a puppy, but Maddy, who’s 9, didn’t regain all her mobility and her back legs are weak. She cannot walk too well on slippery surfaces but takes her daily walk on our long driveway (1/8 mile) with no problems.